I'm back with beauty sample review again this time. 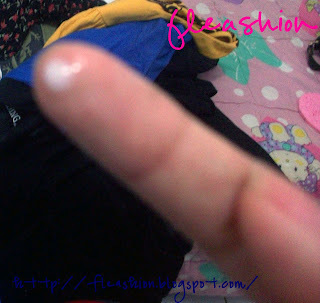 In this post I'll review an eye cream from Etude House called Collagen Moistfull Firming Eye Cream. 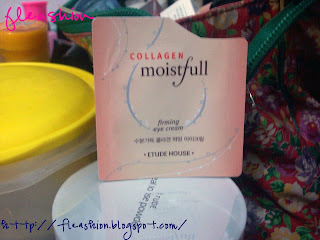 As you know this eye cream is part of Etude House's Collagen Moistfull series. Collagen is one of the most plentiful proteins present in the bodies of mammals, including us, humans. In fact, it makes up about 25 percent of the total amount of proteins in the body. Some people even refer to collagen as the glue that holds the body together. Without it, the body would, quite literally, fall apart. Basically, it gives body tissues form and provides firmness and strength. So, based on those previous facts we should learn that collagen is essential for our skin, right? That assumption then leads me to this trial. Hohoho. Since I have problem with my dark circles and eye-bags, so I choose this sample for trial. So, I used this eye cream twice a day; day before I started my activity and at night before sleep. I also applied it on my upper eye and under eye. I used a small amount of it (size of mung bean for each eye) as I learn about it from Beauty Advisers in the Department Stores that I visited sometimes. The texture is liquid-like. It's not oily, though. And when you apply it, there will be some kind of soothing feeling on your eye. But it's not mint-like feeling. It's relaxing. So, I've used this eye cream for a month (which spent 5 sachets of sample) and I can say that it's HORRIBLE. Because I always have to wake up with so many eye-debris (yuck!). I've stopped using it now and I never experience that horrible morning anymore. 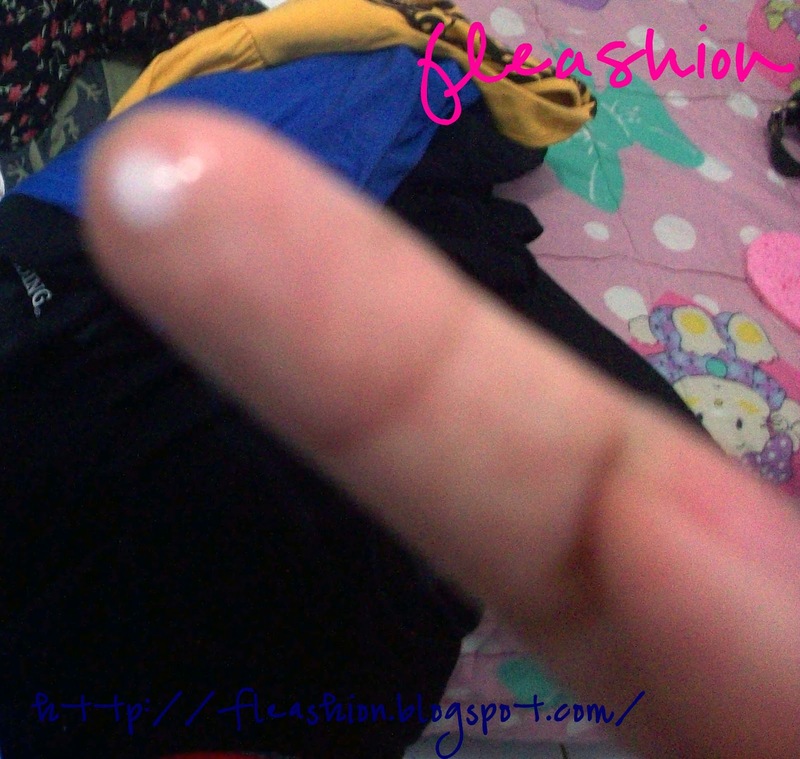 I guess the eye-debris created from the cream since it has firming effect. If you try using it, the cream will stiffen quickly to tighten the eye-bags but it ended up making my eye full of debris -_- (it's crystallized) Why is it matter? Because it's hard to remove and my eyes ended up scratched because I rub it in order to remove the debris. 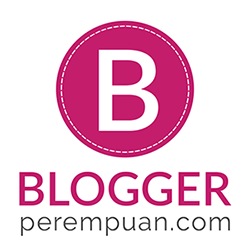 o_0 yeah, most of good skin cares are expensive..
line line di bawah mata bisa hilang pake ini kahhh?? By using collagen, it elasticizes skin in this sort of a method that it can be smoother and suppler. This facilitates so you can get rid of frown traces and creases that many people get after they get older.